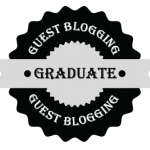 Do you have big plans for blogging in the next year, but are unsure of how to reach that goal? Are you ready to let the world know about your services, but a little anxious to spend so much of your time and energy on blogging without a guarantee of return? Well, if only will have to wait. It is time to make sure your blogging does have a positive impact on your business. Therefore, we want to go through a simple process we have used to teach hundreds of entrepreneurs how to create a simple, three step plan to help them achieve their goals for blogging this year. In this case, the plan is more of a list of guiding principles to blogging. Creating great content does require a plan. However, it is a plan based upon three solid principles that all bloggers must adhere to if they want to build their business. 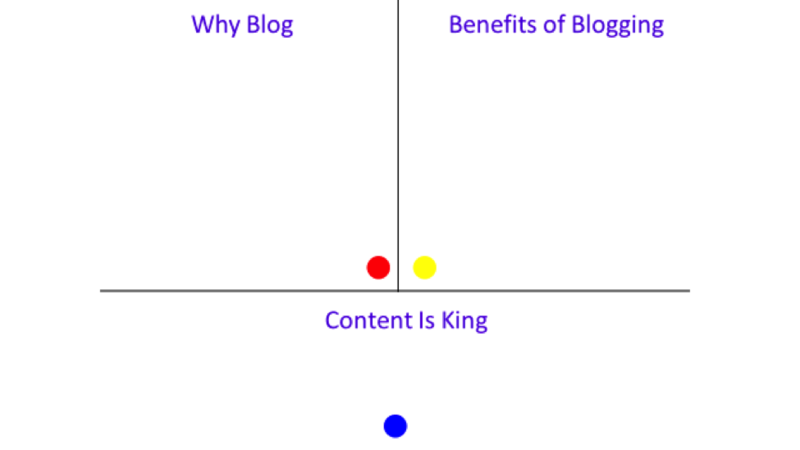 Principle 1: Determine why you blog? Before you do anything else with blogging, determine why you want to use blogging for your business? 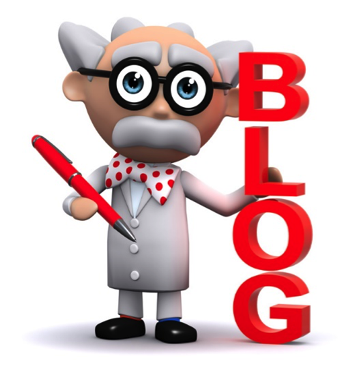 Why is blogging a vital part of your marketing mix? While you are answering this, remember that blogging is about more than just making money for your business. If that is your only concern, you will probably quit at the first obstacle that comes your way. Why blogging over other forms of marketing? How do you think blogging can help you build your business and convey your message to your audience? At the end of the day, the successful bloggers are true with themselves and their audience. They provide quality information to help their audience make an informed decision about the benefits of blogging. For you to be able to do this make sure you have a crystal clear reason why you are blogging. Now that you know how you benefit from blogging, it is time to determine how your audience benefits from your blog posts. To do this we need to do a few things. First, determine your audience. The greatest information in the world falls on deaf ears when it is shown to the wrong people. That means the biggest benefit you can provide to your audience is giving them relevant information. With the right audience you have the potential to do great things with your blog. Second, remember to write for your audience and not yourself. While it is fun to write to hear yourself talk occasionally, the blog you create must be there to provide relevant information to readers interested in learning more about your services. Your blog posts should entice them to want to come back and learn more. Pack your blog with how-to information, guides, case studies, and other relevant content that so inspires your audience that they think if this is what you do for free, they wonder how much more value you provide in your paid services. Third, don’t hold back. The biggest challenge most new bloggers face is that they hold back some of their ideas. They believe if they provide their audience with that last piece of valuable information then they will go elsewhere. Unfortunately, if you do not teach them, then many prospects will pack up and read the next blog that does provide them with the information they want. What you think is top secret information might be add-on information for another blogger selling a similar service. Don’t risk being sneaky with readers, so you can get a few extra sales. Generally the strategy backfires. Besides, if a reader is a true DIY, then they are probably not your client anyways. Principle 3: determine the best plan for you to consistently create great content. I have some bad news for you. Your content will not launch on Tuesday, and go viral by Thursday. The chances of that happening are slim. Therefore, you have to be prepared to work on your blog for the long-run. This means you need a plan to consistently create outstanding content for your business. I started my blog with a personal challenge. In 2010 when I decided to make blogging a significant part of my marketing mix, I made a promise to myself that I would blog 5 times a week for an entire year. Three years later, I wrote over 900 blog posts and had a full docket of clients. Now, three years after that over 70% of my business consists of blogging for clients. To do this, I had to be consistent in my actions and Stubborn Enough Not To Quit after a number of early setback. The road may not always be easy, but as the imaginary saying I just created that fits so well with this idea: a paved road works better than a forest in the dark. Now, I regularly write 1,000-2,000 words per day, and have built a business off the content empire I created. Enough talk! It’s just too darn cheap these days. 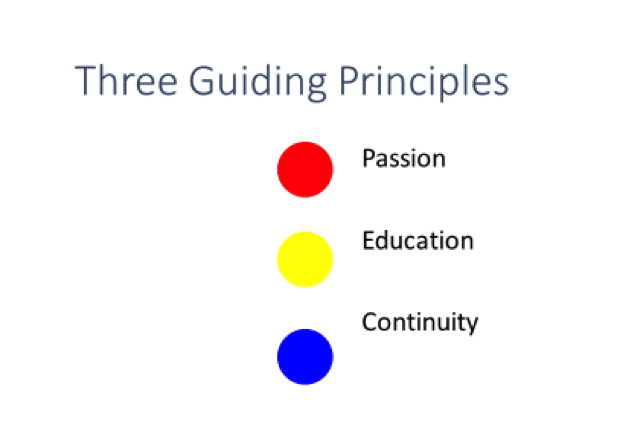 Now that we went through and discussed the three principles for your blogging plan, it is time for you to put these principles into action. Write down your principles, so you have a clear strategy to help you hit your goals while at the same time providing massive value for your readers. The most common question we get from many business owners after they see this plan is what about the results? How do I make money from blogging? The answer is that if you have the right mix of passion, education, and continuity in your blog plan the results come naturally. Instead of forcing it down their throats, you awe them with your information. Yes, you do have to let clients know about your products. No, I am not saying you should not sell your wares online. Instead, remember that if you have a plan based on the principles discussed above, then the rest takes care of itself. Do you have the passion, knowledge, and ability to take action on your blog? If so, then use the information above as a guideline for creating an effective blog plan that meets your goals and helps your readers benefit from the quality of your knowledge. If you want to learn more about blogging then use our 75% off coupon for our new course on Udemy The Scientific Formula for Profitable Blogging. This coupon is good until the first of May. This post was generously provided by Andy Nathan. Over the past few years, Andy written over 4,000 blog posts, articles, email newsletters, and content for hundreds of clients in over 75 different industries. You really share great blog plan. Great article, very informative. Good going, thanks for the sharing, I am a starter and i guess this article will help me. thanks again. Reaching your goals for your blog, is something that is difficult if you don’t have strong desire of what you like your blog to be by establishing your vision and writing it somewhere. As a blogger you can have goals onto how to pursue the articles that you are undertaking and your achievements will be great. Strong inside belief and Learn from your mistakes. You have to fear nothing on the way to your success. Have inner desire and write good article as you wish it may be daily, weekly or monthly. I am so impressed your post, all plans which you cover here all are incredible I truly enjoy post.. good share. For a business to grow, I strongly believe in consistency. A blog grows when you believe that you’re handling a business and not just a blog. 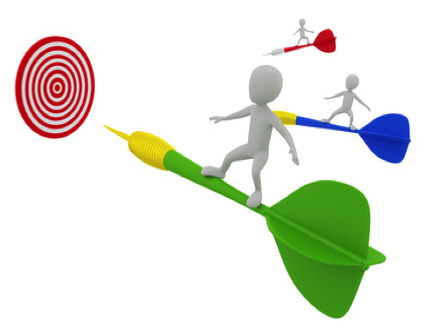 Branding works vital role in getting leads. Along with this right keyword research is essential. Thanks for the tips, they are really good for any blog. I’m going to use them for my blog. An impressive and interesting information about the start-up of Blogging and how to initialize and manage of blog. One of the basic need of Blogging is that gathered of information like website, content and more. Thanks for sharing and great article or enjoyed to reading this article so much. How often do you recommend blogging (how many times per week)? hii, thanks for sharing, Great article for the tips, they are really good for any blog. I’m going to use them for my blog.